Come 8th February, Mahindra and Mahindra Ltd will be lifting the covers off the all new Mahindra Xylo 2012 whose release has been highly anticipated owing to the fact that its predecessor model received Best MPV of the year. There is a fierce rivalry amongst automobile companies in India since it is now slowly turning out to be one of the most thriving markets for automobiles in the world. And 2012 has been prospective for almost all the car-makers as they have al kick-started the year and have started rolling out their latest pepped-up models which have been upgraded with latest ergonomics and looks. Mahindra and Mahindra Ltd, with the launch of the new Mahindra Xylo MPV 2012 plans to escalate its sales rate by a huge percentage over this year and establish a stronghold in the MPV car segment in India. Mahindra and Mahindra Ltd have been in the Indian market for more than a decade now and have rolled out one of the best range of SUVs and MPVs on the Indian roads. They started with a humble Thar/Jeep that met with huge demands and following which Mahindra and Mahindra aimed to expand more in the Indian market. Thus they introduced Scorpio which became a trendsetter and took the SUV market in India by a wave. Scorpio owing to its popularity is still considered as one of the most sold SUVs in the Indian SUV market. Xylo is not far behind and follows up leaving a small difference with the sales of Scorpio. But now with the launch of the new Xylo, Mahindra and Mahindra plans to increase and make their presence even more active on the Indian roads. The designers of the new Xylo have upgraded the car both in terms of its looks and ergonomics and thus the new Xylo comes with advanced ergonomic features. The interiors as well as the exteriors of the car have also been revved up to a great extent and thus the new Xylo promises optimum performance along with optimum style and comfort to its potential buyers in India. The front bumper of the car has been redesigned and so have been the bonnet and the headlamps. The grille has also been modified and the new grille that the designers have come up with is much more stylish than that of the previous one. Ergonomically there are two versions of engines the new 2012 Mahindra Xylo will be available in. There will be 2.2 L mEagle Turbo Diesel Common Rail engine which will promise a power of 112 bhp and the second engine will also be of 22 L but will give peak power of 95 bhp. Thus there won’t be any delay from Mahindra & Mahindra Ltd in launching the new Xylo and the anticipation building regarding the launch of the car is now widening. 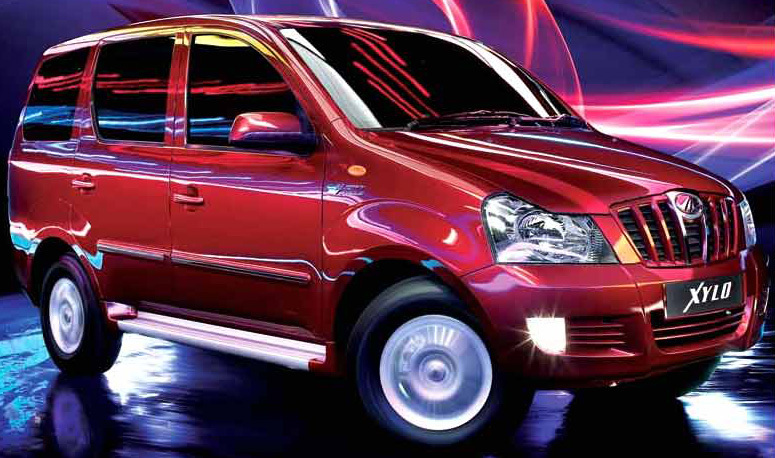 Thus Mahindra Xylo 2012 can become a strong contender for the best MPV of the year 2012.